The agency will get out of the software development business and move to the same vendor as DoD, Secretary David Shulkin announced Monday. The U.S. Department of Veterans Affairs will replace the outdated VistA electronic health record with Cerner, the same EHR vendor that is overhauling the U.S. Department of Defense’s system, Secretary David Shulkin, MD, announced Monday. Shulkin’s decision fulfills his promise to decide VistA’s fate before July 1. Congress has railed on both agencies for decades to alleviate issues with its EHR systems and other healthcare organizations have been pushing for VA to make the shift to Cerner. Under a ‘Determination and Findings’ -- a written approval to solicit directly to a vendor -- Shulkin will hand the EHR acquisition to Cerner for deployment and transition of the VA enterprise to Cerner. Shulkin said this will “enable seamless healthcare to veterans and qualified beneficiaries." VA will also adopt “significant cybersecurity enhancements” that leverage the current architecture, tools and processes already in place by the DoD. As the VA has separate needs from the DoD, VA won’t be simply installing the same EHR, but it will be based on a similar Cerner platform. Cerner, in a statement, said it was excited to take over the EHR. "Earlier today, the Department of Veterans Affairs announced its decision to modernize its existing health records platform by choosing Cerner’s commercial off-the-shelf Millennium EHR solution," the company said. 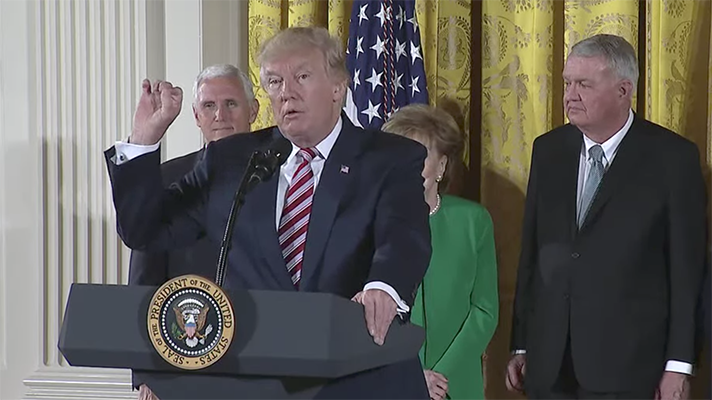 "We believe this project, in concert with ongoing progress towards implementing the Department of Defense’s MHS Genesis system, will lead to ongoing innovation, improved interoperability and the creation of a single longitudinal health record that can facilitate the efficient exchange of data among military care facilities and the thousands of civilian health care providers where current and former service members receive healthcare."